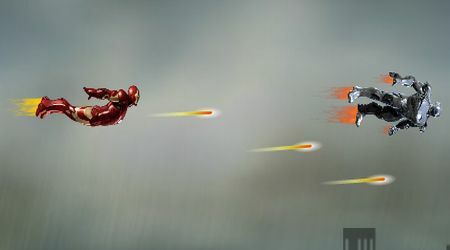 Move your mouse to make Iron Man fly in the air. Shoot down your enemies by clicking the left mouse button. Hit the space bar to drop bombs. 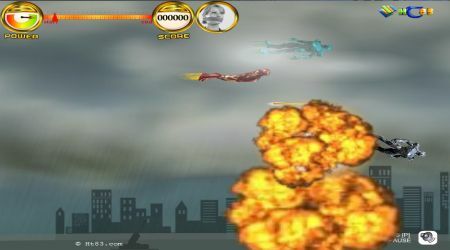 If Iron Man needs to land, slow down and carefully touch the landing field.